I was never an Atlantean fan but these Alexander bodied machines always seemed so special compared with the standard Citybus examples. Probably just because they were so different to anything else down here. 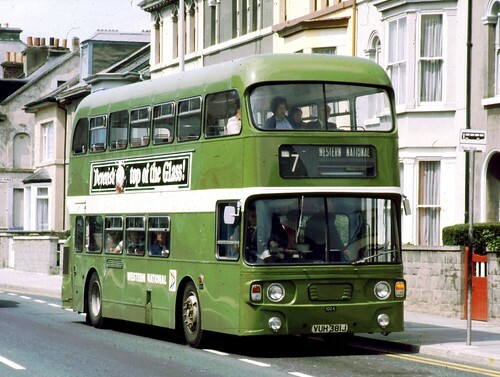 Mostly used on Callington routes they did occasionally appear on Plymouth City routes such as the 7. Still seems amazing to think that this photo was taken over twenty eight years ago - I must be getting old!